dance.net - Aboyne Outfit (10246805) - Read article: Ballet, Jazz, Modern, Hip Hop, Tap, Irish, Disco, Twirling, Cheer: Photos, Chat, Games, Jobs, Events! 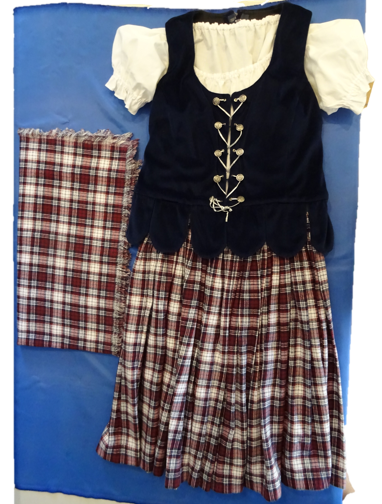 Includes Plaid and white blouse. $150AUS includes postage within Australia. Can ship overseas at buyers costs.